12 pp. Roman, 531 pp. The Karamoja region of Uganda is not well-known, yet it suffers from one of the most severe and chronic crisis in Africa. Almost 30 years after the historical famine of 1980, political and ecological factors still intermingle, placing the pastoralist livelihood of a million Karimojong under unprecedented stress. Stemming from five international conferences as part of a year of active campaigning across Europe, this publication looks at global responsibilities and explores local, national and international solutions that may pave the way to sustainability and conflict mitigation. 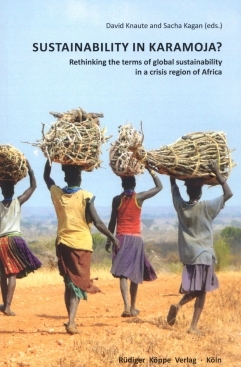 With contributions by an interdisciplinary selection of researchers and experts, and a confrontation of European and African cases, it also reveals opportunities and challenges for pastoralist societies worldwide. Aid workers, researchers, students, decision-makers and other people concerned with Africa, nomadic lifestyles or the effects of climate change will find inspiring, yet challenging perspectives that together cast a new light on the complexity of humanitarian crises and human development. The forewords are written by Louis Michel, European Commissioner for Development and Humanitarian Aid, and Elizabeth Paula Napeyok, Ambassador Extraordinary and Plenipotentiary of the Republic of Uganda to France, Spain, Portugal and Permanent Delegate to UNESCO. The work is well intentioned, with the important goal of improving the lot of pastoralists, specifically the Karamojong, by advocating for the acceptability and even benefit to society of their nomadic lifestyle.